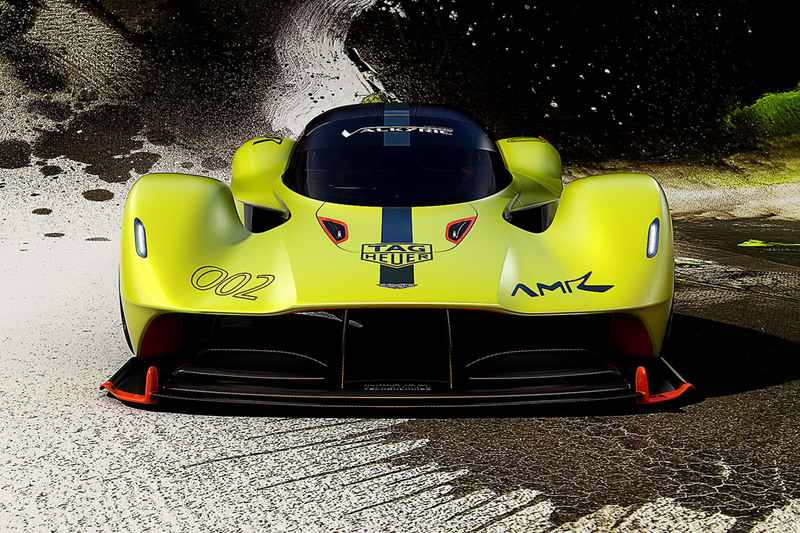 Aston Martin has raised the bar of what’s possible in the exclusive track-only hypercar club with this, its new Valkyrie AMR Pro, which is on display in Geneva and has been described by company boss Andy Palmer as “truly mind-bending". Co-developed by Red Bull Racing using the base of Aston Martin’s soon-to-arrive Valkyrie hypercar, it injects even more power and downforce into a lightened package influenced by Formula 1 engineering genius Adrian Newey, Red Bull’s chief technical officer. At the heart of the model is a recalibrated version of the Valkyrie’s V12 hybrid powerplant. The Cosworth 6.5-litre engine has been fettled with a new emissions control system and works with a reprogrammed energy recovery technology for the hybrid system. Power is now said to exceed 1100bhp. The car also features lighter carbonfibre bodywork, while inside, heavy items such as the heater/demister and infotainment screens have been ditched. The AMR Pro gains a heated windscreen made from lightweight polycarbonate; this material is also used for the side windows. More weight has been saved with the use of carbonfibre suspension wishbones and moulded race seats, while the engine’s 12-cylinders now breathe through an exhaust system no longer burdened with weighty silencer parts. The AMR Pro tips the scales at 1000kg, meaning it produces at least 1100bhp per tonne. This figure shames existing track-hypercars, such as the 704bhp/tonne McLaren P1 GTR, while even the Techrules Ren RS electric track car, which produces 1287bhp, is expected to fall short of the Aston’s benchmark by around 300bhp/tonne. Larger front and rear wing elements and revised active aerodynamics are said to boost the maximum load generated by the Valkyrie. Although no number has been released, Aston Martin said the AMR Pro “is capable of generating more than its own weight in downforce”. This would seem like an understatement, given that the road car is pipped to produce up to 1816kg of downforce. With the new aerodynamic package, the AMR Pro is said the be capable of achieving up to 3G of lateral acceleration – a figure that far surpasses those of its rivals. 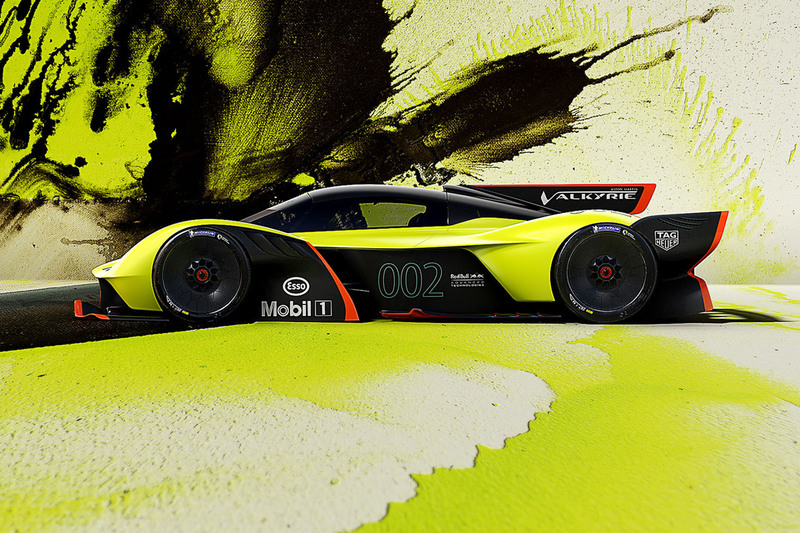 Despite being focused on producing downforce, rather than minimal drag, the AMR Pro has a top speed of 225mph. 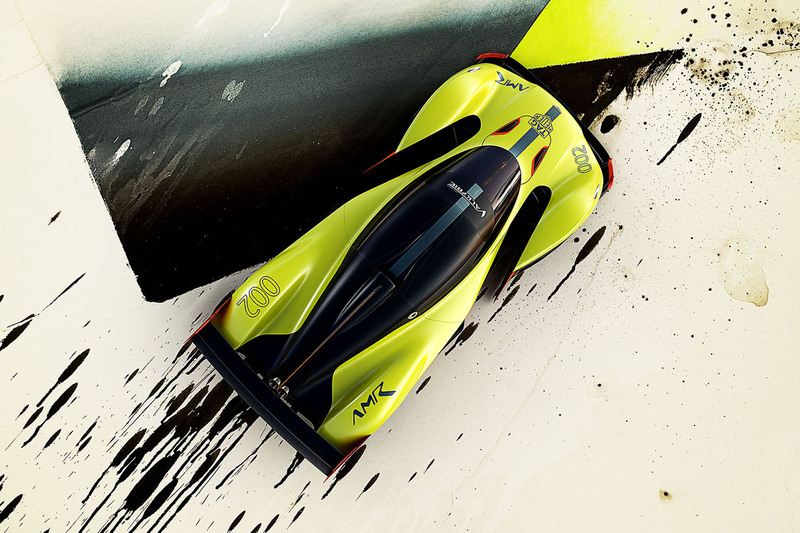 Following its display at the Geneva motor show, where it is parked alongside Aston Martin’s Vantage GTE racer and Red Bull Racing’s RB14 F1 racer, the Valkyrie AMR Pro will continue to be developed before production begins in 2020. Just 25 examples are due. All cars are already spoken for.